The owner code consists of three capital letters of the Latin alphabet to indicate the owner or principal operator of the container. Such code needs to be registered at the Bureau International des Conteneurs in Paris to ensure uniqueness worldwide (per ISO 6346). The serial number consists of 6 numeric digits, assigned by the owner or operator, uniquely identifying the container within that owner/operator’s fleet. Each of the numbers calculated in step 1 is multiplied by 2position, where position is the exponent to basis 2. Position starts at 0, from left to right. If the final difference is 10, then the check digit becomes 0. Steps b) to e) is a calculation of the remainder found after division of a) by 11. 11 is used as divisor because a container number has 11 letters and digits in total. In step 1 the numbers 11, 22 and 33 are left out as they are multiples of the divisor. 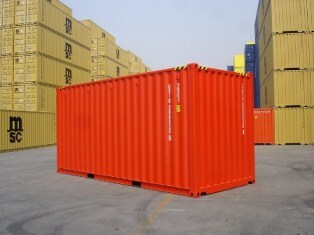 This entry was posted in Container facts and tagged check digit, check digits, Container facts, equipment category identifier, iso 6346, owner code, serial number.